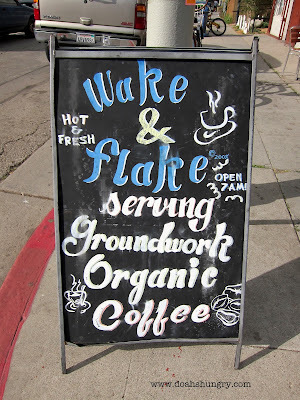 Craving a great breakfast sandwich in West LA? 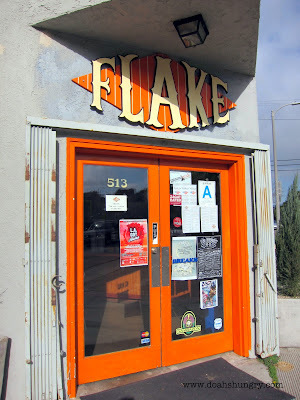 One word: Flake. Or as they say, "Welcome to your cheap and cheerful neighborhood bacon hut!" 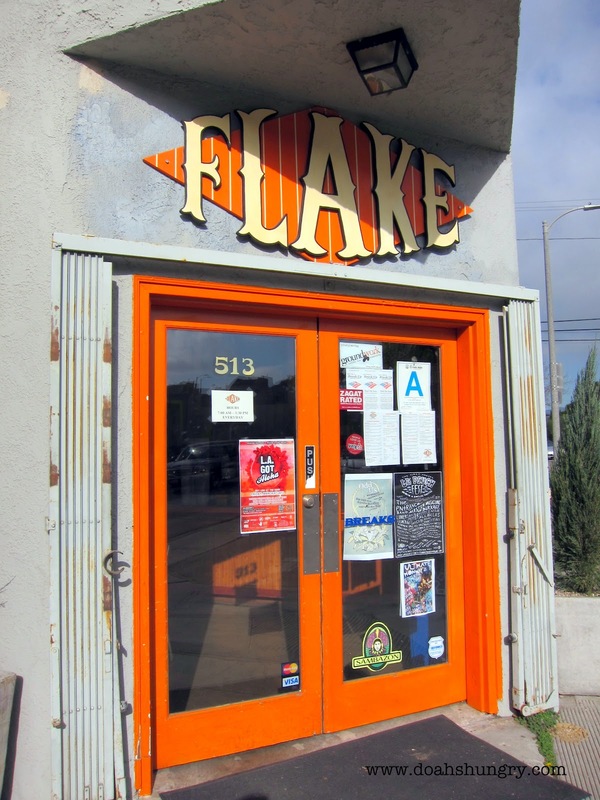 Flake is located in Venice, but because it's situated on Rose Ave. between Lincoln and Main, it's a bit off the beaten path. I like this. 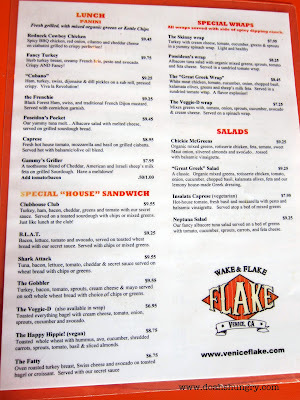 Flake's menu consists mainly for sandwiches, and of course, its namesake, "Bowl o' Flakes," aka - cereal. 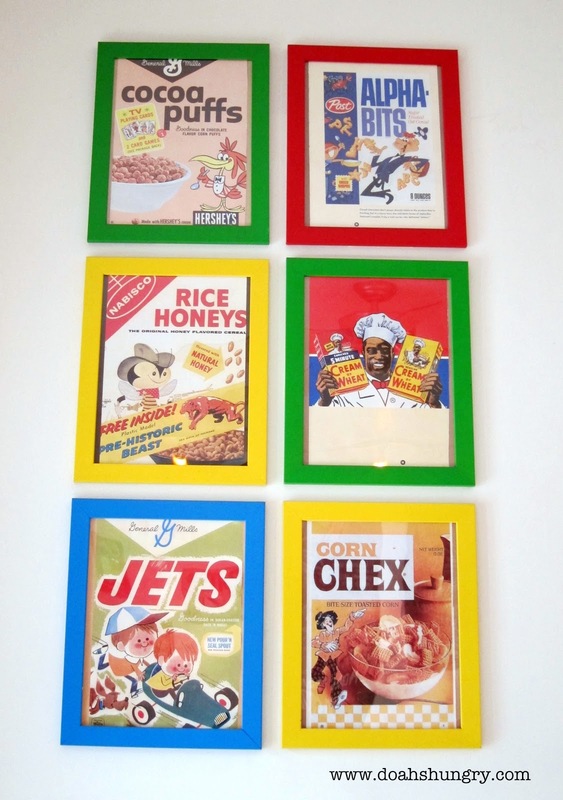 I love the old school cereal box covers that adorn the walls. 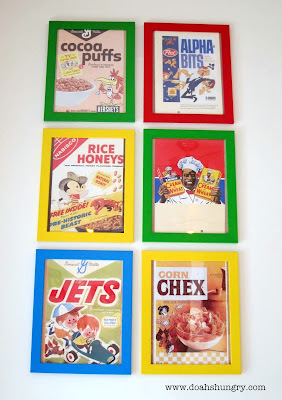 While I'm a serial cereal eater (see what I did there? ), my needy appetite and I hungered for something more substantial. Meet the Veggie Rad. 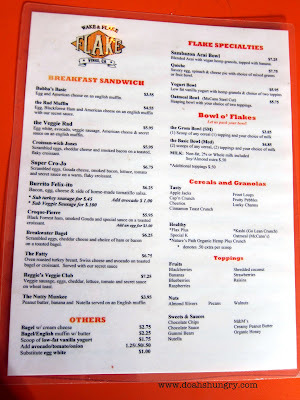 For $5.95, I was treated to an English muffin sandwich with egg-whites, avocado, veggie sausage, American cheese & "secret sauce." I going to guess the secret sauce as a mixture of mayo and Thousand Island sauce with some cayenne pepper or paprika for the kickin' aftertaste. Whether I'm right or wrong, it was delicious. As you know, I'm as carnivorous as a girl can be, but once in awhile, my conscience tells me to take it easy. As a whole, the veggie sausages I've eaten in the past, are sad, to say the least. But I was genuinely impressed with the veggie sausage in the Veggie Rad. Juicy and dare I say, meaty, I couldn't even tell it was veg! 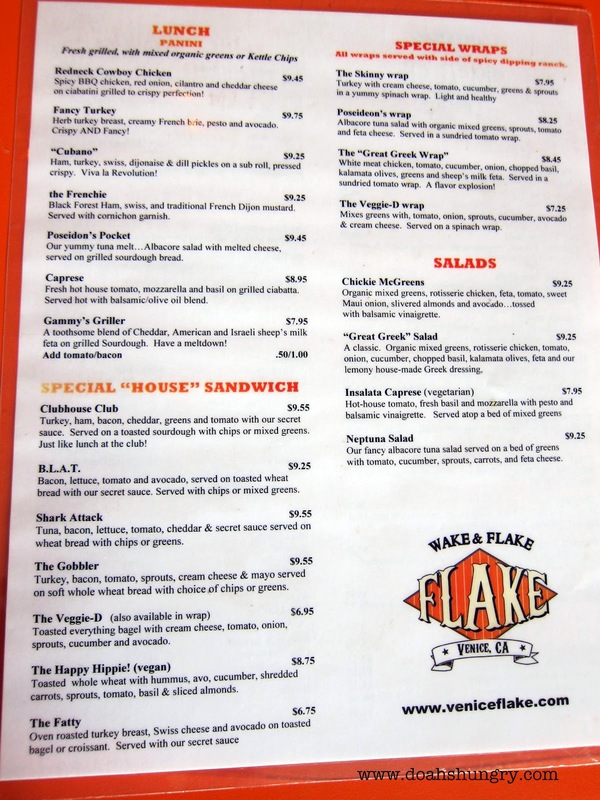 All of the flavors and textures of the sandwich melded well together, and in a great portion, too! Well done, Flake. Since you won major points for breakfast, I shall return for lunch. hours: 7:00 AM - 3:30 PM, 7 days a week!